Cocina Natural in Vale do Lobo has has a makeover and is looking better than ever. Always a great atmosphere and fantastic food! 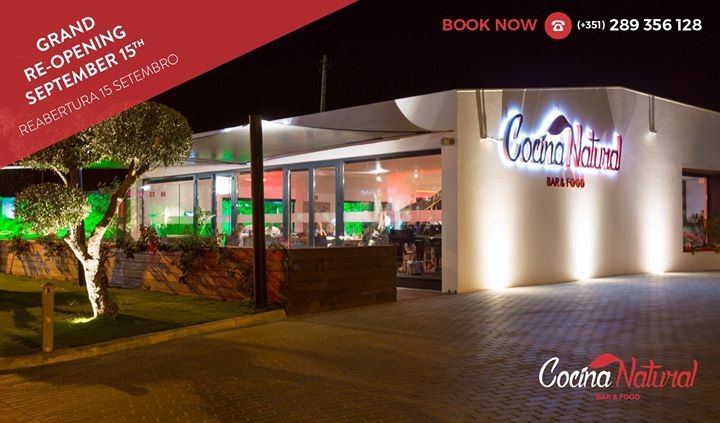 Cocina Natural will be open from 5pm until late, Tuesday to Sunday, with a Happy Hour each day from 6pm until 7pm. Click the BOOK NOW button to reserve your table.